The platypus, Ornithorhynchus anatinus, is a strange critter. An egg-laying, duck-billed, semi-aquatic mammal with venomous ankle spurs and electroreceptors in its beak, the platypus is the sole member of its family and genus. Its physiology so challenged existing taxonomies that when European naturalists first encountered a specimen, they insisted that it had to be a hoax: a taxidermied amalgam of spare parts from various other species (Moyal 2004). Similarly, the Committee for the Anthropology of Science, Technology, and Computing (CASTAC) plays host to a deeply heterogeneous collection of anthropologists, media theorists, designers, and other scholars of sociotechnical systems. Their diverse theoretical commitments, methodological strategies, and empirical objects resist neat categorizations; their social networks and professional trajectories are no less singular. When Jenny Cool, Patricia Lange, and Jordan Kraemer founded the CASTAC blog in 2012, their goal was not to prune these various weedy strands of inquiry, but rather to provide a platform for their cross-pollination and hybridization. When the team behind the CASTAC Blog decided to give the site a name, they chose Platypus in part to represent the variegated character of this assemblage. 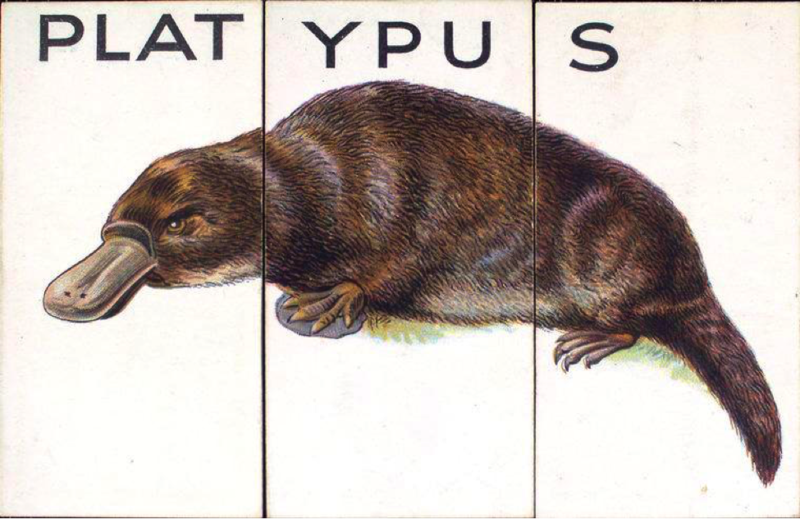 Beyond a mere symbol of our own professional eclecticism, however, the platypus is also a provocation: an occasion to think through the hybridity and complexity at the heart of scientific practice itself. At the same time, it is important to remember that it is precisely this hodgepodge of seemingly disparate features that allows the platypus, and hopefully Platypus, to succeed within its specific ecological niche. As the current Editor of Platypus, I have attempted to live up to the morphological and behavioral creativity of our furry namesake. Practically speaking, this has meant that I have continued to treat Platypus as an experimental, messy space: a test-bed for anthropologists and designers to share work in progress, try out risky new concepts, or chew over current events. However, the blog is also home to more directly curated thematic series, intervening into areas of contemporary concern ranging from posthumanism, to designing for disability, to law in computation. These series are purposefully designed as intermittent and punctuated, carrying the conversation across months or years as their empirical objects and theoretical con-texts shift and develop. Rather than any specific conceptual agenda, the blog has always prioritized its communal function: densifying the human-to-human connections that make up any vibrant scholarly community. Our blog has thrived in large part due to the unflagging support of CASTAC and its parent organization, the General Anthropology Division of the American Anthropological Association. Many of our readers still approach the blog through the gateway of the CASTAC mailing list. Over the past three years, however, our readership has exploded beyond both anthropology and the United States, mostly driven by our social media presence: today, the majority of our readers come from outside the United States, with substantial engagement from Latin America and Europe. We have recently started publishing bilingual posts, and welcome submissions in any language alongside the blog’s primary language of English. Given the diversity of theoretical investments, professional backgrounds, and methodological repertoires of our readers and authors, the editors of Platypus have neither wished nor tried to enforce any sort of intellectual orthodoxy. We view our platform not as a pulpit but as a trading ground, where folks from across the globe and disciplines can meet to generate productive insights into our technological contemporary. However, despite the lack of centripetal efforts, the blog has seen the emergence and continual refinement of a surprisingly consistent approach to the study of science, technology, and computing. Rather than conceptual or methodological unity, however, our project’s coherence — such as it is — seems to lie in the specific way that our community blends the practical and conceptual repertoires of anthropological and design thinking. As a corollary of this laissez-faire approach to intellectual curation, Platypus has also quite consciously resisted elaborating any specific, prescriptive political stance, beyond supporting our individual contributors when they choose to advance their own commitments. Beyond our reluctance to risk misrepresenting the complex and various political investments of our community, there are quite simply other platforms that do political work more effectively and more precisely than our assemblage could. That said, the blog does have a specific and coherent approach to using academic research to intervene into political discourse. Rather than targeting interventions at the level of either public discourse or policy solutions, our authors have tended towards focusing on finding new, orthogonal approaches to long-standing social problems. Whether through revealing new methodological strategies, furnishing conceptual tools, or building concrete alliances, these approaches have mirrored the intellectual approach of Platypus in their focus on engaging the design process behind both technologies and policies. Rather than trying to argue over what should be built, we try to open conversations about how we might build sociotechnical systems in more democratic and egalitarian ways. This focus on process and design extends to our own sociotechnical infrastructure. The founding editorial collective was explicitly dedicated to building an editorial process and publishing infrastructure that would maximize community involvement and democratic decision-making about the direction of the blog. Over the past six years, this commitment has guided the evolution of our somewhat idiosyncratic editorial ecosystem: the Editor of the blog is responsible for recruiting and supervising ten Contributing Editors (CEs), who are in turn responsible for soliciting or writing all of our regularly-scheduled weekly posts. (When we receive proposals for posts, the Editor generally works with authors directly, or directs them to the CE whose research and publishing interests most closely fits with the proposed topic.) CEs perform first-line edits on posts they are curating, before passing it on to another CE who acts as a “first reader” for argumentation and organization. The Editor supervises this process, providing a final style and format edit, as well as directly handling the editorial duties for the thematic series. This editorial approach places CEs, usually junior scholars, in relatively unsupervised curatorial positions that allow them to pursue their own intellectual agendas and build relationships with authors, who are as often senior scholars as they are peers. Hopefully, this structure both contributes to and reflects the primary commitments of the blog: providing a platform for coherent conversations to emerge among the multiplex strands of research and the heterogeneous social networks that make up the anthropology of technology, design, and computing. If you are interested in joining the conversation, whether as an author or a contributing editor, please don’t hesitate to reach out! Unlike our namesake, we are neither venomous nor predatory. Moyal, A. (2004). Platypus: the extraordinary story of how a curious creature baffled the world. JHU Press. 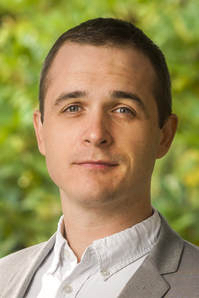 Ian Lowrie is an anthropologist of computing, higher education, and data. He is currently a Visiting Assistant Professor of Urban Social Science in the University Honors College at Portland State University.